Earlier this year Desert Dwellers released their most diverse album in the duo’s long career. The Great Mystery was the first full length collaborative project between the main founders Amani Friend and Treavor Moontribe, and featured a wide range of styles and aesthetics from downtempo and psychedelic dub to tribal trance to exotic house and techno flavors. To celebrate the special release, Desert Dwellers have curated an ambitious two- part remix album full of contributions from some of the brightest luminaries and rising talents across the underground electronic music landscape. The Great Mystery Remixes Part 1 is slated for a September 21st release on the DD Bandcamp page, and features sonic reinterpretations from Gaudi, Liquid Stranger, Hibernation, An-ten-nae, Kaminanda, AtYya, Tribone, Twin Shape, Land Switcher, Drumspyder, and Govinda. The second part will be released in late October with contributions from Emancipator, Whitebear, Sixis, Mystral, Supersillyus, Halfred, Master Minded, and many others. 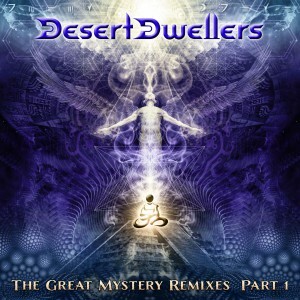 With artists from across the globe and musical genres, these carefully crafting renditions of Desert Dwellers’ The Great Mystery are a potent combination of immersive soundscapes that pay a loving tribute to the original compositions.